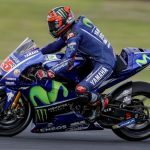 Movistar Yamaha’s Jorge Lorenzo posted the fastest lap by a motorcycle around the Circuito de Jerez to take his first MotoGP pole of the season Saturday. Yamaha Factory Racing announced Eurasian Bank as an official sponsor of the MotoGP team. 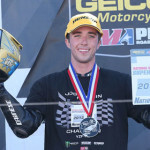 Jorge Lorenzo underwent surgery Monday for a broken left scaphoid, which he sustained during training over the weekend. 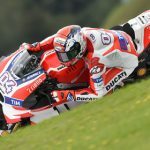 The Ducati Team hit the ground running Friday on the first day of MotoGP practice at the Red Bull Ring, taking the top two positions on the overall practice charts. Movistar Yamaha MotoGP‘s Valentino Rossi stormed to the pole position in qualifying on Saturday at Autodromo del Mugello, setting a new lap record in the process. 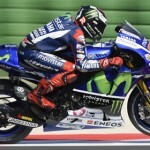 Jorge Lorenzo utilized winglets on his Yamaha M1 and set the fastest lap ever by a motorcycle around Misano World Circuit Marco Simoncelli during MotoGP practice on Friday. Repsol Honda Team’s Dani Pedrosa stormed to a thrilling pole position for tomorrow's MotoGP event at Misano World Circuit Marco Simoncelli. 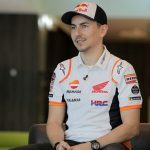 MotoGP World Champion Marc Marquez and Repsol Honda teammate Dani Pedrosa visited Jakarta on their way to Malaysia for round 17 of the World Championship this week.